Our tom cat will snuggle up to nearly anyone! 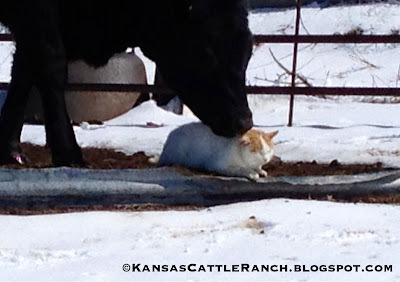 Even a curious heifer who came to sniff him and ended up licking him until he was slimy! 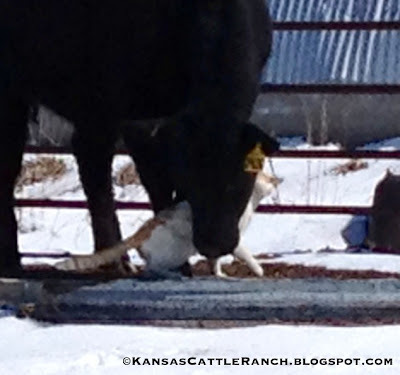 I'm not sure that the cat really enjoyed the mauling, but he tolerated it until the heifer stepped on his tail! 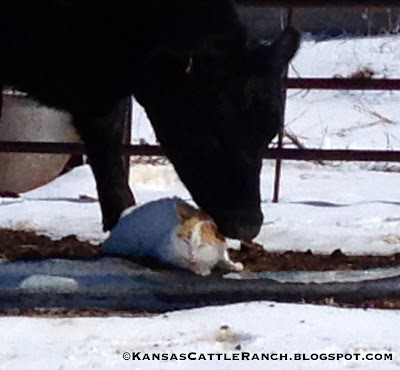 I LOVE barn cats! I had mine for 20 years - she just passed away a year ago. My son is hoping to get another one this spring, when there are so many available. I'm not sure my broken heart is mended yet, but maybe a new barn kitty will help.